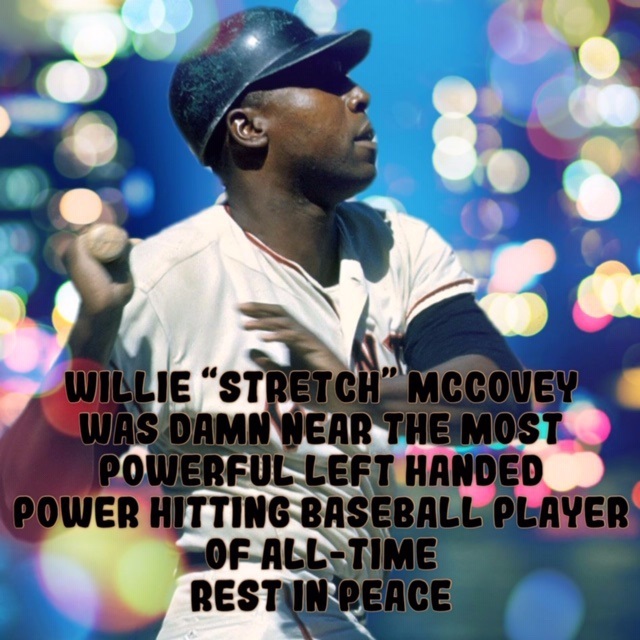 Yesterday, the black community lost a very special person, Willie "Stretch" McCovey, who died at the ripe age of 80-years old. The younger generation most likely has no idea of how magnificent an athlete Willie McCovey was when he played major league baseball. Growing up there were a few players that drew maximum excitement when they played the game of baseball. Mr. Willie McCovey was one of those players. I mean he was simply the greatest first basemen in either the National, or, American Leagues. Willie McCovey just happened to be the second greatest Willie on his team, seeing that one Willie "Say Hey" Mays patrolled centerfield for the San Francisco Giants. Willie McCovey played during a time when ballplayers weren't allowed to move from team to team to seek better financial rewards. This period was before Curt Flood tested Major League Baseball's Reserve Clause which gave the owners of teams total control of player movement. I can only imagine if Willie McCovey spent his career playing in Yankee Stadium with that short left field porch. I imagine that Willie McCovey would've broken every home run record that stood in baseball. When I was growing up there were no cable channels or sports channels. We were only able to view the 3 major channels for television entertainment, ABC, CBS, and NBC. NBC was the chosen channel for the Major League Baseball Game of the Week, as well as the program, This Week In Baseball. That is where I was on a summer afternoon watching my favorite sports baseball. Major League Baseball hadn't implemented inter-league play in the 60's. So the only time I could see National League players, at that time the majority of black players seemed to play in the National League was during the All-Star Game in July, or during the World Series. 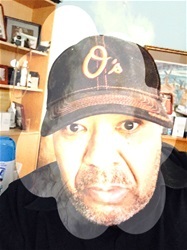 I was also an avid reader so I would go to my branch library and read "Sport Magazine and The Sporting News" because I learn so much from following baseball scores and player statistics. Let me tell you just a little bit about my memories of Willie McCovey. That brother was a tremendous power hitter. Willie McCovey when he stepped into the batter's box was the ultimate image of what a power home run hitter should look like. He swung that bat with such force and he literally brought fear into opposing pitchers. I remember seeing San Francisco Giants versus Los Angeles Dodgers matchups when Willie McCovey would face Don Drysdale. Those battles were epic because of Drysdale's tendency to throw high and tight. It never seemed to bother Willie McCovey because he always seemed to create havoc when he was facing Drysdale. I remember seeing a game between the St. Louis Cardinals and the San Francisco Giants when Bullet Bob Gibson was pitching. The only two hitters that seemed unfazed by the tenacity of Bob Gibson's high and tight fastball were the two Willie's, Mays and McCovey. I never got to see Willie McCovey play in person because I resided in an American League city, Baltimore but it didn't mean that I didn't get to follow Willie "Stretch" McCovey's baseball career. So today, I mourn just a little for the passing of one of my childhood heroes. Who yesterday joined God's Amazing Baseball Team. Rest in Peace Willie.